As the name suggests, summer squash is seasonal all summer, and has many uses in the frugal kitchen. 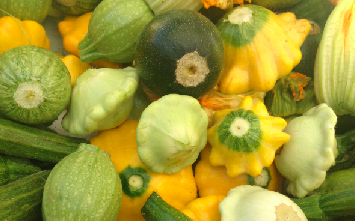 Most summer squash is edible, including that tender skin and the seeds. This means summer squash can play a large role in your summer snack and salad repertoire. Choose smaller squash and slice them thin for salads; when dressed with chopped garlic, fresh herbs such as dill and parsley, and a simple olive oil and vinegar dressing they are delicious! The salad can be made ahead so the dressing and herbs have a chance to soak into the squash for enhanced flavor. Also try summer squash sliced into sticks and served with your favorite dip as a snack. And speaking of dips, raw summer squash can be made into a hummus, substituting the garbanzo beans in your favorite hummus recipe with an equal amount of fresh summer squash. Squash of all sizes — from the long zucchini to the round pattypan — can be stuffed and baked, the only limit is your imagination. Slice squash into rounds, remove the seeds leaving a thick ring, stuff with local chorizo, and bake at 350 F until the chorizo is cooked through (watch it…these bites of goodness don’t last)! You can also make the kids happy with a healthier pizza substitute (try this recipe). Grilling summer squash is easy, and can be done alongside other grilled favorites like steaks or chicken. Simply slice squash in half lengthwise, then toss with oil and seasonings (we like salt, pepper, garlic, and local chili powder). Grill until tender and juicy, about 5 or 6 minutes, turning once during cooking. Grilled squash can be served as a main dish, or as a side to other foods. Grilled squash can be chopped and stored in the refrigerator to use later as a filling in burritos and tamales, or mixed in with beans for a health boost. Summer squash cooks up fast, which makes it a great candidate for healthy, after-work dinners. The easiest method is to chop your squash (seeds and all) into bite-sized pieces and sauté in olive oil with spring onions, garlic, dried red chile, and salt and pepper to taste. Toss this mixture with cooked pasta or rice, adding a grated local hard cheese to the mix. 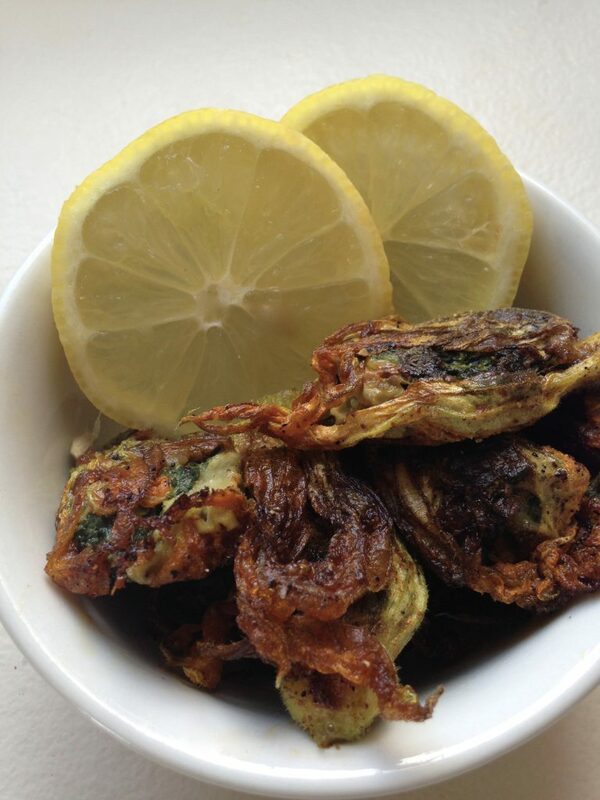 Fried squash blossoms epitomize delicious, seasonal eating. Squash blossoms are definitely lovely with their large orange petals, yet many farmers’ market shoppers often only look longingly at the delicate looking flowers before passing them by because they aren’t sure what to do with them. Instead, give squash blossoms a chance the next time you see a farmer selling them — they are versatile and tasty! Try adding them, coarsely chopped, to your quesadillas, soups, and salads. When making pizza, layer the top with squash blossoms for a new and delicious pizza flavor. Also try them dipped in egg, coated with seasoned flour, and fried in a bit of oil until golden brown as an appetizer, along with a spritz of fresh lemon. Summer squash is one of those vegetables that can take on many flavors easily, which makes it a great candidate as a meat substitute to create cheaper and healthier recipes. Try summer squash chopped small as a replacement for ground beef in lasagna, tacos, burritos, and spaghetti sauce. If you feel your family will rebel against a total replacement, try substituting a portion of the meat with the squash, they likely won’t be able to tell and you’ll still be saving money and boosting your family’s health in the process. That’s great! The more we can increase awareness about, and support for, New Mexico’s farmers the better! 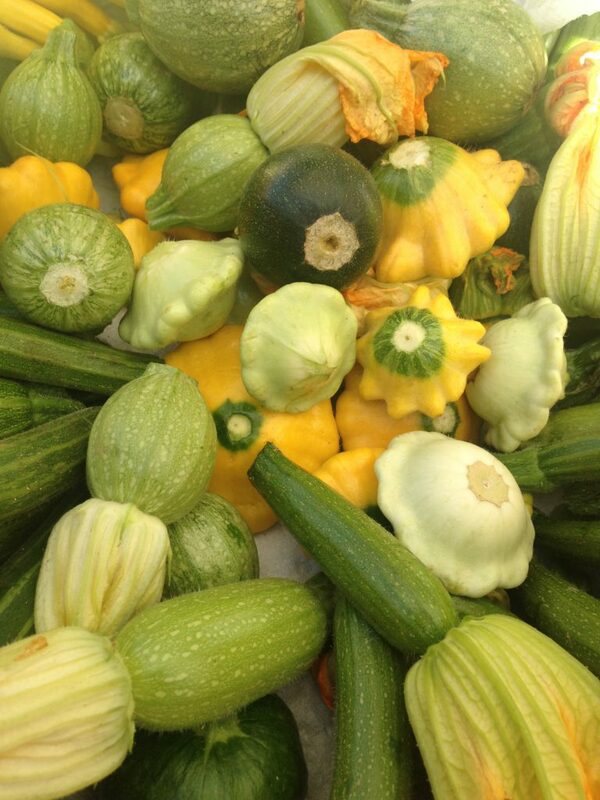 You can also make a delicious pie with the yellow summer squash! Steam the squash and puree (peel and all) then substitute this puree in a pumpkin pie recipe. It has its own distinctive flavor. Make soup. Saute onions, add cut up squash, cover with chicken or vegetable broth, cook ’til soft. Puree. Add dairy (half and half, or whole milk, or heavy cream) add curry powder to taste, or another herb or spice. I think dill weed would be a good complement. Serve warm or cold. Delicious. Good with any summer squash. This is a good use for any squash that is a little too big.